Download "Subj: NAVAL SPECIAL WARFARE OFFICER CONTINUATION PAY PROGRAM"
1 DEPARTMENT OF THE NAVY OFFICE OF THE CHIEF OF NAVAL OPERATIONS 2000 NAVY PENTAGON WASHINGTON, DC OPNAVINST A N131 OPNAV INSTRUCTION A From: Chief of Naval Operations Subj: NAVAL SPECIAL WARFARE OFFICER CONTINUATION PAY PROGRAM Ref: (a) 37 U.S.C. 318 (b) DoD R, Department of Defense Financial Management Regulations (FMRS) (c) Manual of Navy Officer Manpower and Personnel Classifications Volume 1 (d) DJMS Pay Procedures Training Guide Encl: (1) Naval Special Warfare Officer Continuation Pay Program Rates (2) Sample Application Format for Special Warfare Officer Continuation Pay 1. Purpose. To publish policies, procedures, and guidance for the administration of continuation pay for certain naval special warfare (NSW), (SEAL) officers. Major changes to this revision include: a. Removal of 6150 eligibility. NSW has disestablished the SEAL limited duty officer (LDO) designator (6150) by converting all LDOs to b. Removal of the 1 year contract option. 2. Cancellation. OPNAVINST Policy. The Naval Special Warfare Officer Continuation Pay (NSWOCP) Program is specifically targeted to 1130 and 1137 designated officers to improve retention in order to meet required control grade inventory for NSW service. 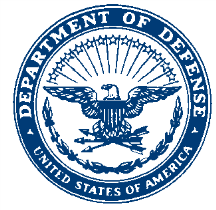 References (a) and (b) volume 7A section 304 allow SEAL officers who meet the eligibility in paragraph 6 to execute a written agreement to remain on active duty. Any modifications to this instruction will be documented by a message to announce the change. VOLUME 7A, CHAPTER 60: HEALTH PROFESSIONS SCHOLARSHIP PROGRAM FOR ACTIVE SERVICE SUMMARY OF MAJOR CHANGES. All changes are denoted by blue font. MILPERSMAN 1741-020 COM TOLL FREE WITHIN U.S.
VOLUME 7A, CHAPTER 21: SPECIAL PAYS FOR NURSE CORPS OFFICERS SUMMARY OF MAJOR CHANGES. All changes are denoted by blue font.